The financial crisis and the economic problems that followed had many causes, but at the top of the list must be U.S. government housing policy. The financial crisis and the economic problems that followed had many causes, but at the top of the list must be U.S. government housing policy. No other country subsidizes homeowners like the U.S. does -- currently more than $200 billion a year. The subsidies take many forms. Homeowners’ mortgage rates are subsidized through the government-sponsored enterprises Fannie Mae and Freddie Mac. Mortgagors get a big deduction on federal income taxes for mortgage interest payments and for state and local property taxes. And homeowners even get favored treatment on capital gains from the sales of primary residences and do not pay tax on the imputed rental value of housing. These subsidies enabled people to borrow more than they could afford so they could buy houses bigger than they needed. This policy led to an overheated housing market and overleveraged households. Proponents of these subsidies argue that homeownership is good social policy, leading to more vibrant and stable communities. Yet the evidence is weak that homeownership leads to this social outcome. And there is no evidence that owning larger homes leads to more stable communities. 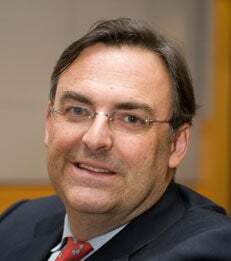 Matthew Richardson is the Charles E. Simon Professor of Applied Economics, the Sidney Homer Director, Salomon Center for Research in Financial Institutions and Markets, and a Professor of Finance.